CONDIMENTS WITH A LITTLE HEAT AND A LOT OF FLAVOR! Jalapeño Relish is a mix of perfectly ripened cucumbers and jalapeño peppers along with top quality spices and vinegars. Made with the highest quality and freshest ingredients. Selected at local markets, prepared in small batches to assure the highest quality and full bodied flavors, vibrant colors and mouth-watering aromas with time to develop into perfection seen only in home-made foods. 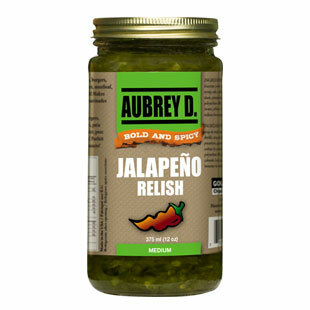 Our recipes offer just enough heat from the jalapeno peppers to bring a nice light bite to any dish, from BBQ's to fancy marinades.